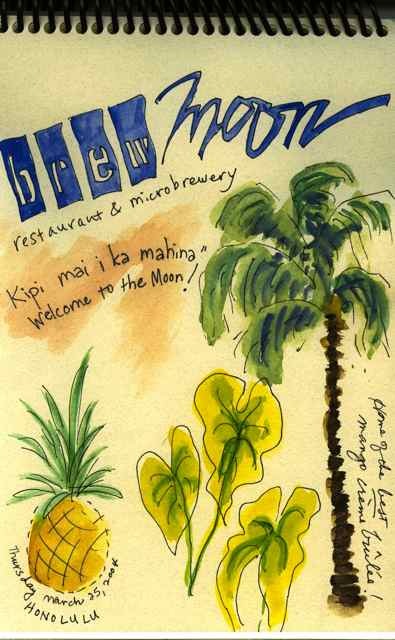 Blue Moon was a restaurant I liked in Honolulu, Hawaii. My inspiration and mentors, Robin Rector Krupp and Kara Knack, travel extensively. Robin is a children’s book illustrator who also writes and is a teacher as well. Kara is a collector of all things astrological, has devoted much of her time to Los Angeles’ Griffith Park Observatory—she created the Cosmic Connection exhibit—and has traveled all over the world observing cosmic phenomena. 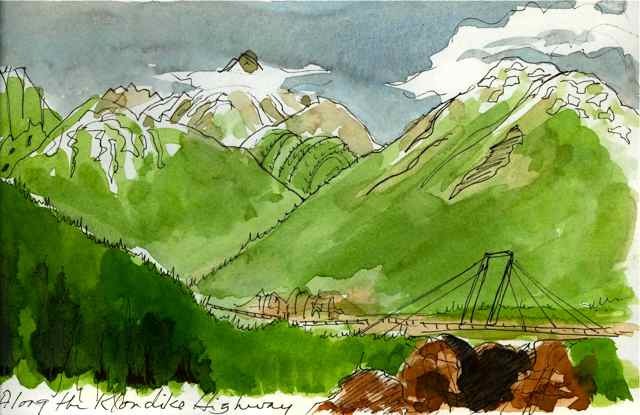 “Along the Klondike Highway” is from my art journal created on an Alaskan cruise. 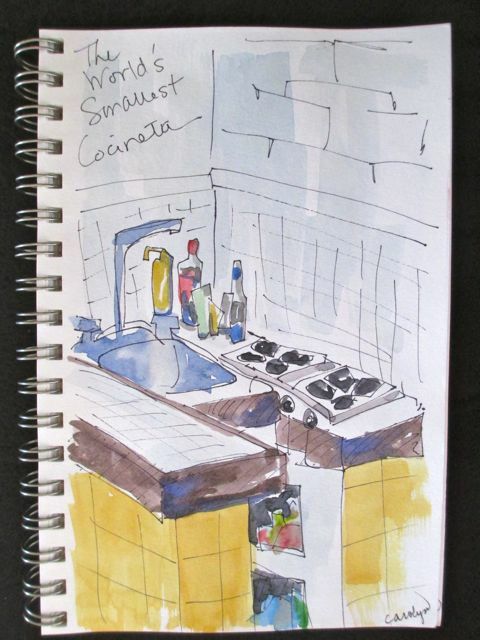 Machu Picchu was an enchanted place to sketch. 1. 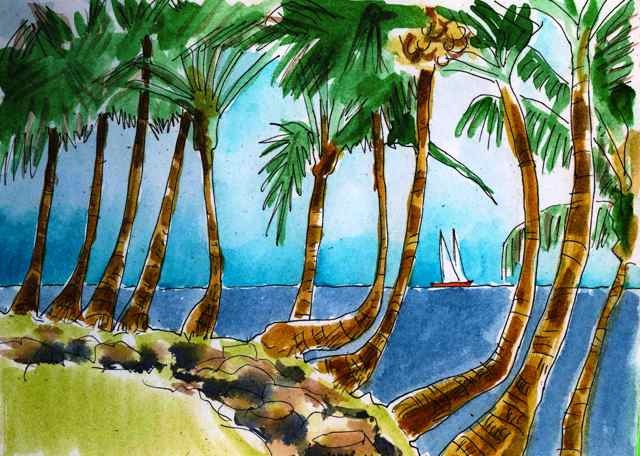 Using watercolors and a big brush, swash the entire page with one color. Let it dry. Don’t be concerned if the page buckles—that’s part of the charm of an art journal. This can be a nice background for writing. 2. Use two or three of your favorite colors to draw a border around the entire page. A border can be as simple as repeated dots, lines, squiggles or a combination of them. 3. 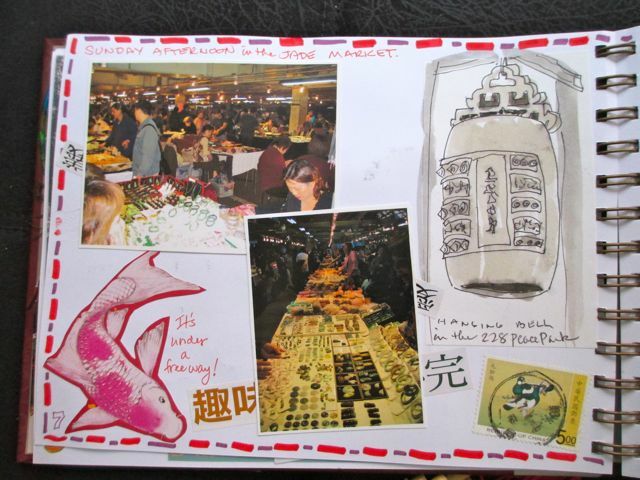 Cut out an image from a magazine and paste it into your journal. Now write three or four lines describing why you chose this picture, what it makes you think of, or how it makes you feel. Ile Royale is one of the three Isles de Salut, off the South American coast of French Gayana; the most famous of which is Devil’s Island. In fact, Papillon was actually imprisoned on Ile Royale, not Devil’s Island, but that’s a tiny detail in an otherwise adventurous tale. 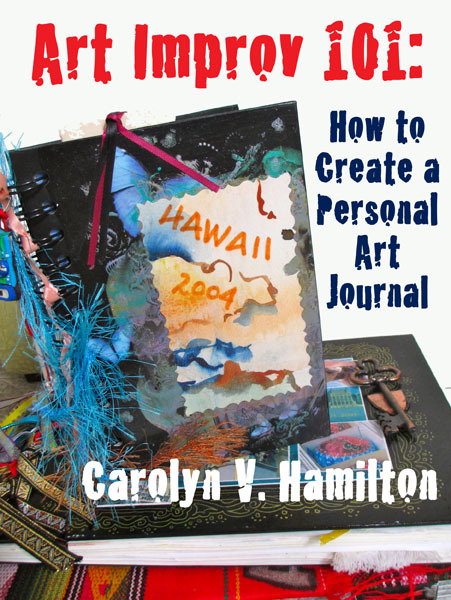 Your art journal could be spiral-bound or leather-covered. I’ve used both, but keep coming back to Bee Paper Company’s SUPER DELUXE SKETCH BOOK, a 6” x 9” (15.24 x 22.86 cm) book with 60 sheets of artist-grade paper in 93# heavy weight. I like how the spiral binding allows me to open the pages flat. - At least two or three permanent ink drawing pens, like a thin-lined Sharpie. - A calligraphy pen with each end a different width. 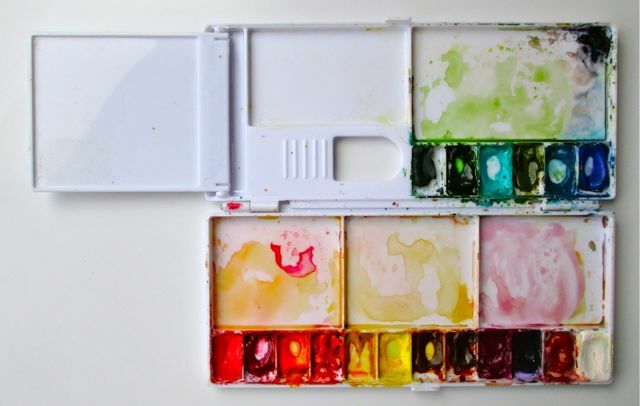 - A plastic fold-out watercolor travel palette. 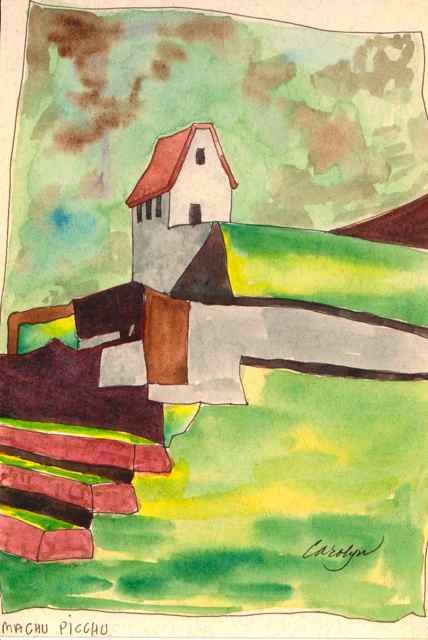 Last summer in Cuenca I taught an art journaling class: Art Improv 101: How to Create a Personal Art Journal. It was so well-received that I just repeated it last month. In between, I found I had collected so much material to share that I needed to assemble it all in a book, which I included as a bonus in this last class. I missed the last few days to post because I went off on a 3-day adventure to Ecuador's Oriente (Amazon), which I'll share with you at a later date. The next AtoZ Challenge: For the letter K, I plan to tell you about my Australian adventure, camping out in Kakadu. 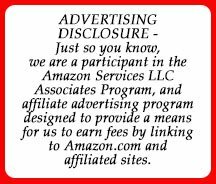 If you would like to read more for adventuresses like you, please go to www.adventuress-travel-magazine.com HOME PAGE.